Nuge is not as solid defensively as most think. Not built for the heavy going down low and makes suspect decisions when trying to coordinate with d men, to cover d zone threats. While early – both Drai and McD when he was playing, have shown remarkable ability to scan around and behind – to respond with the d to shut down threats. They are both much better than I would have expected and way ahead of where Nuge was – in his first two years. That being said – sure – you would prefer to wait, given that we are not going to make the playoffs and you would like to have more time to make such a decision. If Eberle and or Yak could deliver the d man we need – wonderful, keep Nuge – at least a little longer to see if McD and Drai prove to be the real 1/2c deal. I don’t think Eberle and certainly Yak – have the value. 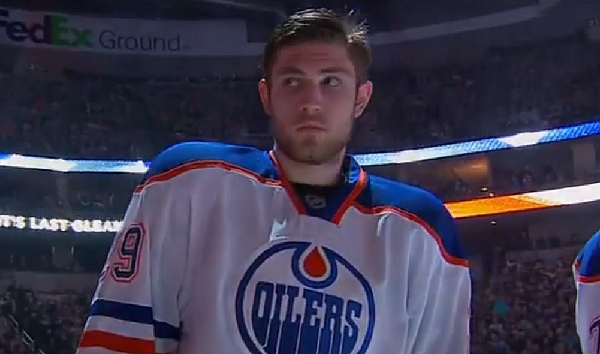 If Nuge stays, I would at some point like to see if he can play on the wing. That gives us additional backup depth at centre in case of injury. I don’t see a 3 scoring line scenario involving the 3 at centre, from an ice time and future cost perspective. I believe that Drai’s size and skill set at centre will quickly prove to be a necessity at 2c, as he gains more and more experience. As the Oilers eventually move toward playoff contention and into the playoffs it will become more apparent. That is when you are playing for real and where the down low d zone war within the war, often determines the winner. For a 5th year guy making $6M per year, this year has definately been a huge disappointment from Nuge. Still can’t win a draw, gets pushed off the puck in the O-zone way too easily, and this year his defense has even taken a step back. He’s too often a non-factor 5 on 5 which is unacceptable for a center making $6M per year. Hall has been mostly dominant, and Eberle’s been hurt so who knows. But Nuge has been a problem and I’m guessing he’s one of the guys (maybe the main guy) Chiarelli was talking about when he said he’s disappointed in some of the vets. They have so little faith in Nugent-Hopkins that they play him more than any other forward on the team. And yet, here we are in 30th again. Is there a common denominator here? Changed GM, changed coaching staff, McDavid injured and this group still can’t get it done. This upcoming trade deadline should prove to be interesting to say the least or we could be discussing this same fiasco next December. This group is the common denominator and changes are required. This we know???? Why are we in 30th? So keep your shirt on, show some patience, support the guys instead of flying off the handle and making statements out of panic or to rile the fan base, which is what Matheson did. If by next September Chiarelli hasn’t drastically reworked the roster with the 16-20M of cap room he’ll have and few other GM’s will , then it’s the time for inflammatory statements. 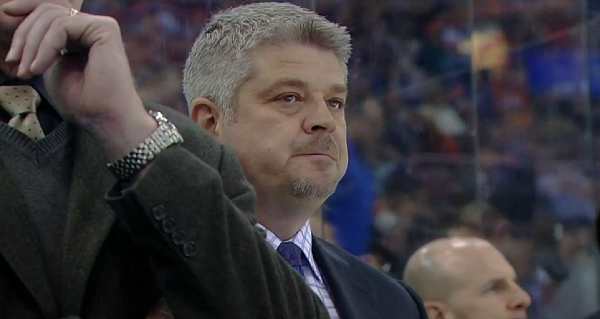 I wonder if the Oiler management, know the meaning of insane? Doing the same thing over & over, expecting a different result. This group of players, has been here for almost 6 yrs., with no improvement. Just maybe, trading some of the Oiler “stars”, who are 2nd line players on just about every other team, will change this horror story. If one player, McDavid, getting hurt tanks the team, then obviously, this team, with these players, have no possible chance, of making the playoffs. It would be good to get out of last place!!! There is a difference over last year. We won’t be finishing the season in 30th. That’s an improvement. So the solution is to trade the guy the coaching staff trusts more than anyone else on the team? RNH and Hall are not the reason the team is bad, and any argument that begins with “the team is losing with these guys” can be immediately dismissed as entirely bereft of logic. Yes, there is a common denominator here. The Oilers have consistently had one of the worst bluelines in the NHL with average or worse goaltending. And their depth on F beyond Hall, Nuge and Eberle has been paper thin. The “core” hasn’t been and isn’t the problem; the complete lack of anything of substance surrounding them has been. The question isn’t really should the Oilers trade Nuge or Eberle or Yak or any particular player. You can win with all of them. The question is simply should the Oilers trade one of their numerous F assets to improve and balance the roster vs continuing to draft, develop and wait or sign free agents. And if they choose to trade a F asset the question becomes what provides the best rate of return; which might not necessarily mean which player provides the best player in return. The common denominator is the management team trading away veterans and leaving the rookies to fend for themselves against the top opposition in the NHL. But by all means, let’s keep doing it. Surely it’ll work THIS time! Yes and he has had a carrousel of wingers. The team hasn’t been healthy enough to get a real read. I for one am leary about trading quality centers when we were so weak in the middle for so long. I have no idea why i mentioned this. I know, lets do nothing and stay in the bottom of the league. The draft parties are killers. You all probably wouldn’t trade Bieber either. I don’t trade Nuge. I’d keep Dr Drai on wing, and trade Eberle long before I traded Baby Nuge. Eberle plus Schultz is likely an over pay on Seth Jones. Nashville throws in a couple mid round picks, and the deal gets done. How good would Schultz look paired with Webber. Nashville gets a much needed offensive minded winger and a suitable replacement for Jones. Why give up on Eberle?. This guy is a consistent scorer in the NHL. he was out with injury and i think he needs 10 games to catch up to the others. 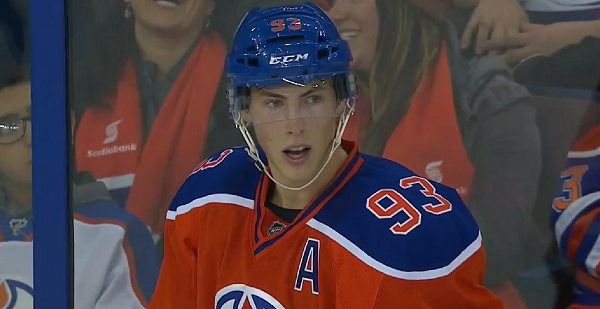 Not only should we not trade Nuge, he should be our captain…IMO. It is too late to trade any of our most valuable chips (Hall, Ebs, RNH) for any kind of impact this season. Any trade should probably be made in the off-season. Barring injury, there’s no way I could see Nashville moving either Jones or Weber heading in to the playoffs (even with 3/4 of the season to play). Playoff teams add pieces for picks & prospects, they don’t undergo overhauls. I’d look at moving Hall in the off-season if he continues at his current pace. His value is high, and probably exceeds a maintainable level – he is young, healthy, scoring, locked in to a good contract, and starting to get respect around the league. Even his biggest detractors aren’t talking about the warts in his game, and that’s the time to make a deal. Anyone else is up for grabs. What about the CASE FOR? Not that I want to trade Nuge but the writing is on the wall for someone to go from the so called first core group. I think Matheson sums up the case for pretty well, which is why I didn’t touch on that as much. EDM needs help elsewhere, RNH has real value, and with three centres the Oilers can at least think about it. We are in 30th place again. What’s the worst that could happen? Everybody should be in the block except for McDavid. 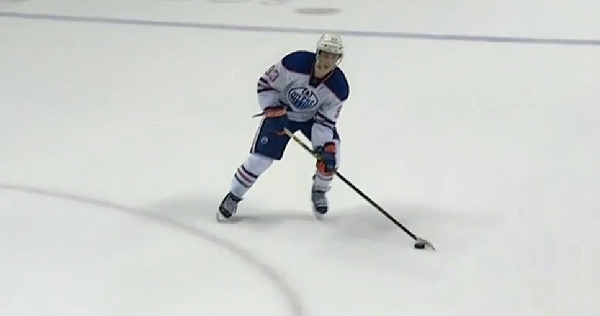 Dont trade Nuge that is not going to improve the oilers no matter what the return…..